Red Rock Lavender currently only ships to the Continental U.S., Hawaii and Alaska. When you place an order, the shipping and handling cost is based on the items in your shopping cart which you can view. After placing your order, you will receive a confirmation e-mail for your order. Our shipping is weight and destination based. Red Rock Lavender provides our customers with easy calculation of shipping costs through our preferred shipper, United States Postal Service (USPS). Occasionally, the online shipping calculations may total incorrectly due to technical problems with either our shopping cart or the USPS site. Shipments may take up to 8 days to ship out depending upon availability of products. We ship via USPS Priority Mail with typical delivery time of 2-3 days after shipment. In these cases, Red Rock Lavender will make every effort to contact the customer through email or phone number provided during check out. The customer will be notified that the shipping calculations have been reconfigured to reflect the proper amount for the shipping costs of the customer's order. 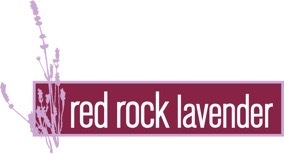 Red Rock Lavender takes pride in each and every product we make. We are very confident that our products will meet your expectations. On the rare occasion, where you, the customer, is not completely satisfied with our product we would like to be informed immediately and we will be happy to guide you through the necessary steps to resolve your problem quickly and to your satisfaction. All returns must be authorized in writing first. Please contact us at 928-337-2289 or by email at customerservice@redrockfarms.com for authorization before shipping a return. If merchandise is returned, it must have a return authorization number; be in sale-able condition; and be returned within thirty days. Return shipping is at customer's expense. Should you receive goods damaged in-transit, carefully verify the extent of damage, keeping all packing material and box intact. Please contact Customer Service at 928-337-2289 or by email at customerservice@redrockfarms.com within 72 hours of receipt of order and explain the problem with your shipment so that we may resolve your problem as soon as possible.